Machel Rayner, the Jamaican-born man who feared having to leave his adopted country of Canada, has had his work permit reinstated the Newfoundland and Labrador government. 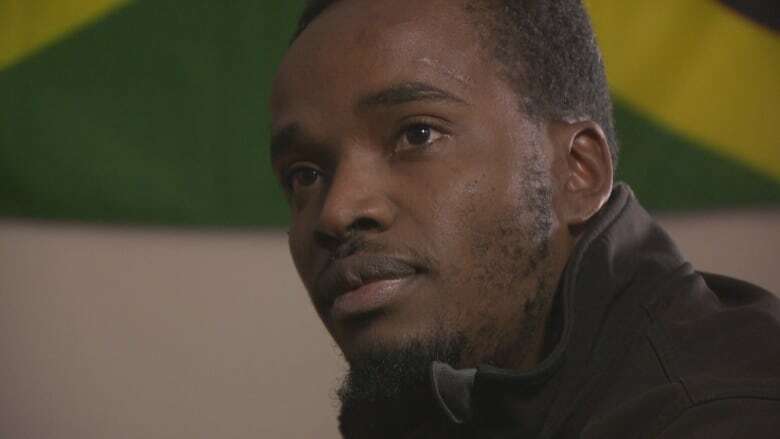 Machel Rayner, the Jamaican-born man who feared having to leave his adopted country of Canada, has had his work permit reinstated by the Newfoundland and Labrador government. Rayner, 31, received tremendous support after a CBC News story aired Thursday morning on his plight to stay in the province. By late Thursday afternoon, Rayner received word that his work permit had been reopened, allowing him to stay and work in the province until an appeals hearing in January. His appeal, however, could still be denied, but the move by provincial officials allows him to continue to make money for him and his family. "People may think social media is full of anger all the time, but in this case, it was really just a demonstration of support for Machel," said Liberal MP Nick Whalen, whose office helped Rayner with his permanent residency application in the spring. After eight years living in the most easterly Canadian province, Rayner received confirmation of his permanent residency in Newfoundland and Labrador in September. "I was distraught. I was weak in the knees," Rayner, 31, said in an interview Wednesday. "I cried at the airport. I ... feel as if I let everyone down." "Everyone here is friendly. They go out and beyond to make sure that I'm comfortable here," he said. "The university professors, they are as helpful as they possibly can and it's always a first name basis, which is quite a bit difficult for me," Rayner laughs. "Because back home it's all sir and madam." Rayner's contagious laughter, positive outlook and big smile caught the attention of CBC cameras in 2011 while he was working behind the counter at Tim Hortons at the Aquarena in St. John's. He was "living the Newfoundland dream," taking chilly walks along the edge of the North Atlantic with Newfoundland dog Jam Jam, and giving a hearty nod and "whattaya at, b'y?" to anyone who passed by. But after his employer cut one of the fitness programs — Rayner taught at a local gym — he suddenly found himself losing out on $10,000 a year — or about 25 per cent of his annual income. "With that reduction in income, I was financially stifled. I couldn't meet my bills with my regular livelihood and also take care of my diabetic mom back home," Rayner said. "So, I had to think on my feet as I have been doing since I was 19, sending them to school right through since kindergarten. I have to find a way to keep providing for them." 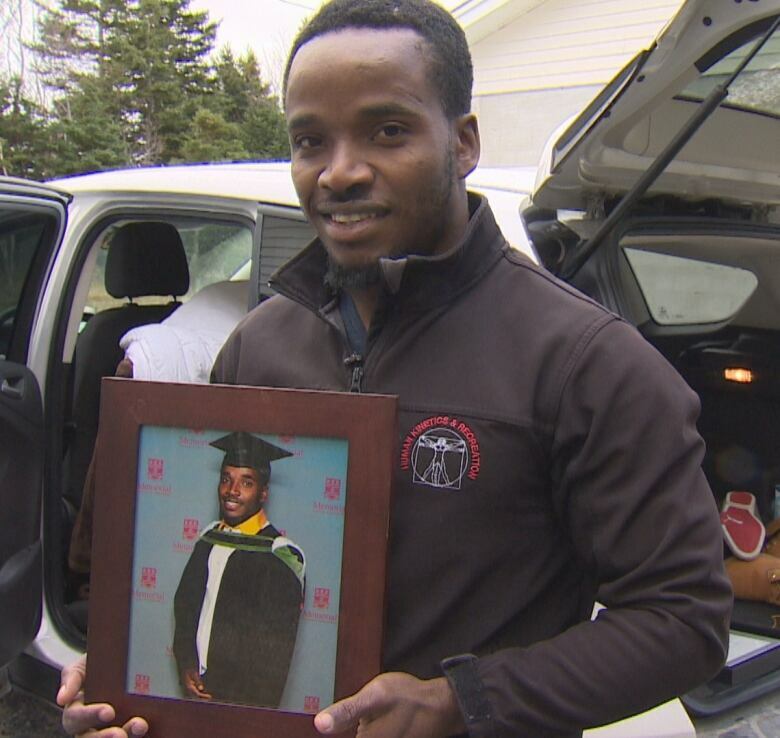 Rayner had already saved enough money to bring his younger brother Shaquille, 23, to the province, where he's currently studying to be an electrical engineering technologist at the College of the North Atlantic. "I wasn't thinking. I was just thinking about how to provide for my family because if my income is cut, there's a ripple effect on everyone else." He didn't have any luck securing a higher-paying job in Newfoundland, but Rayner did get an offer in Halifax. "I was hesitant in going because Newfoundland is home," Rayner said. "This was a temporary move because my other brother is coming. I have to prepare for him and be here when he arrives." Rayner had confirmation of his permanent residency but had to complete one more step before it became official. Through his travel to Halifax from a celebratory trip to the United States, Canada Border Services learned Rayner would be working in Halifax, and not Newfoundland and Labrador, as had been agreed upon. 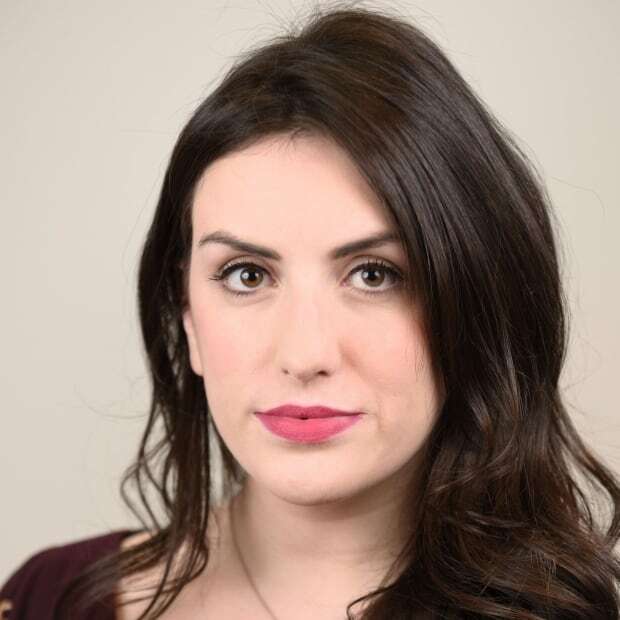 While it wouldn't discuss the case, the Department of Advanced Education, Skills and Labour said that the Canada-Newfoundland and Labrador Immigration Agreement requires immigrants to live and work in this province as they pursue permanent residency. Federal immigration and refugee protection regulations require that people "must intend to reside" in the province that nominated them. "It's important for people to realize that if new Canadians are here on work visas, they do need to follow all the terms of their conditions of them staying in the country and working in the country," MP Nick Whalen said. "Often times mistakes will happen and then my provincial counterparts and my office are there to help people get through mistakes should they happen." While the appeal hearing is risky, Rayner said, he plans to continue working in St. John's as long as the province allows him. He is hopeful the appeal will work in his favour. On Wednesday, Rayner and his brother Shaquille packed a small storage unit in St. John's full of Rayner's things. His framed diploma from Memorial University perched atop a pile of possessions collected over eight years. "All my mom has been doing is praying that I don't return [to Jamaica] and that there's some sympathy," Rayner said. "But it will [end] up on my little brother now to continuously send $100 back home so they can eat for two weeks." A provincial Liberal immigration action plan released last year indicated the province has a "roadmap" to welcoming 1,700 newcomers annually by 2022. Rayner may have worked on the beach at a Sandals resort, but he grew up in one of Jamaica's toughest neighbourhoods: Trench Town in the capital of Kingston. Meghan Felt, Rayner's immigration lawyer, said he does have the option to apply under a federal express entry program that should allow him back in about six months. As for Rayner, he's not jaded by his experience. Nor does he blame the province. "It was something I did wrong, by not reading the fine print. And I will just have to see what's the best route to come back."